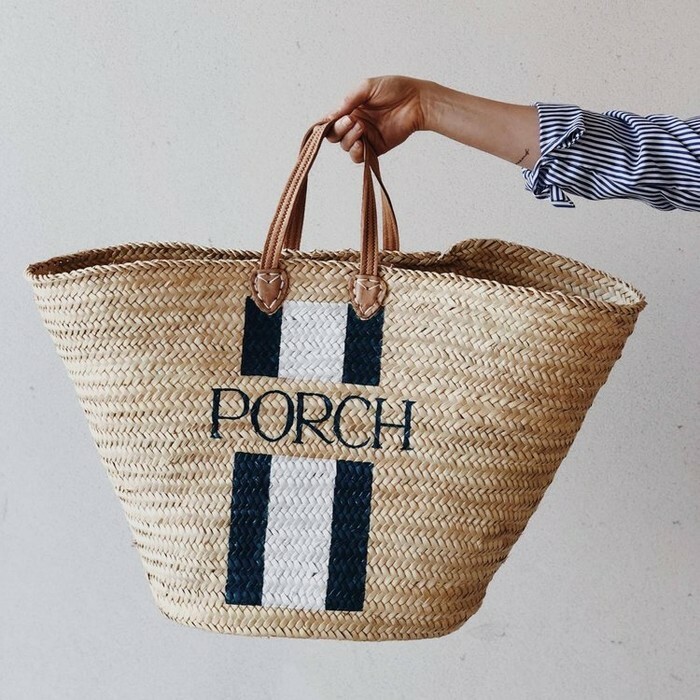 Our Bronte Basket is an oversized straw basket with room for all the beach essentials and more. 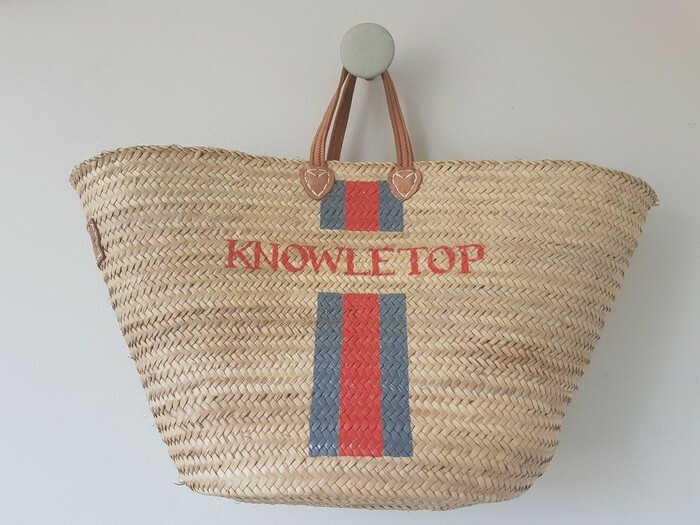 Our bespoke, personalised baskets are hand painted in your favourite colour and monogrammed with your initials. Custom colours available, you are only limited by your imagination! 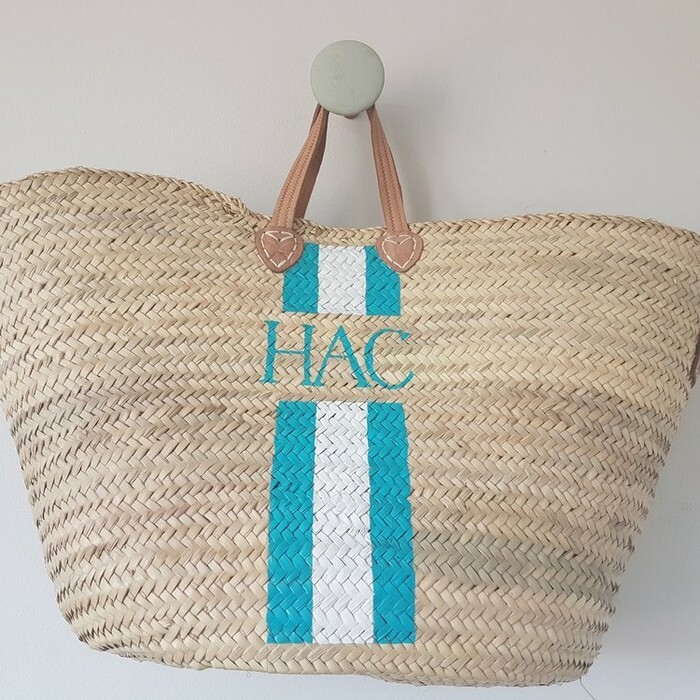 Handmade Palm Straw basket with short leather handles (40cm). Handmade in Morocco. Hand painted in Bondi. 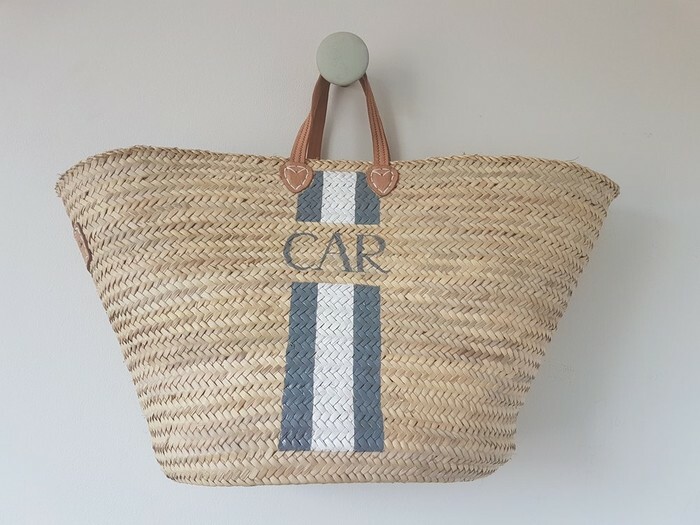 Dimensions: (approximate) L 55 x H 45 x W 38cm (please note, baskets are handmade, size may vary). 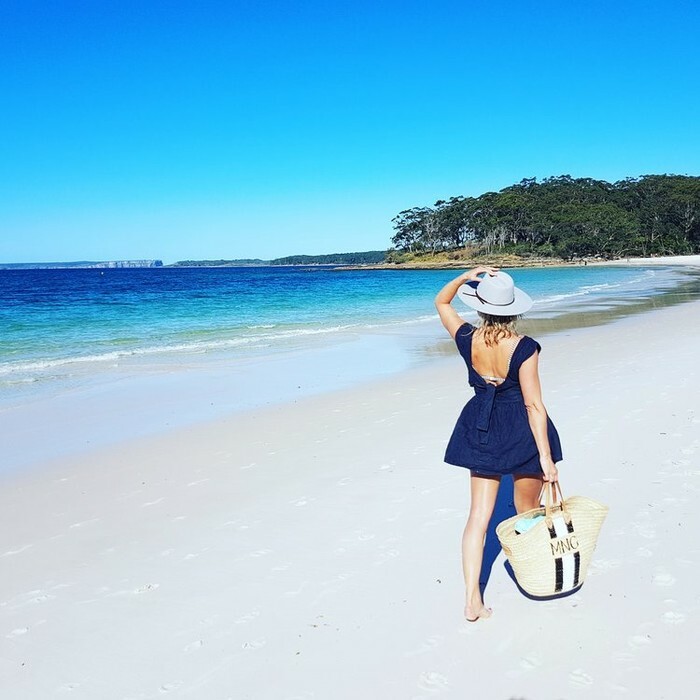 All our baskets are hand made and hand painted so please treat them with love. The weaves on the basket can move and cause chipping which may occur over time. Angus & Audrey offer free touch ups (shipping excluded). 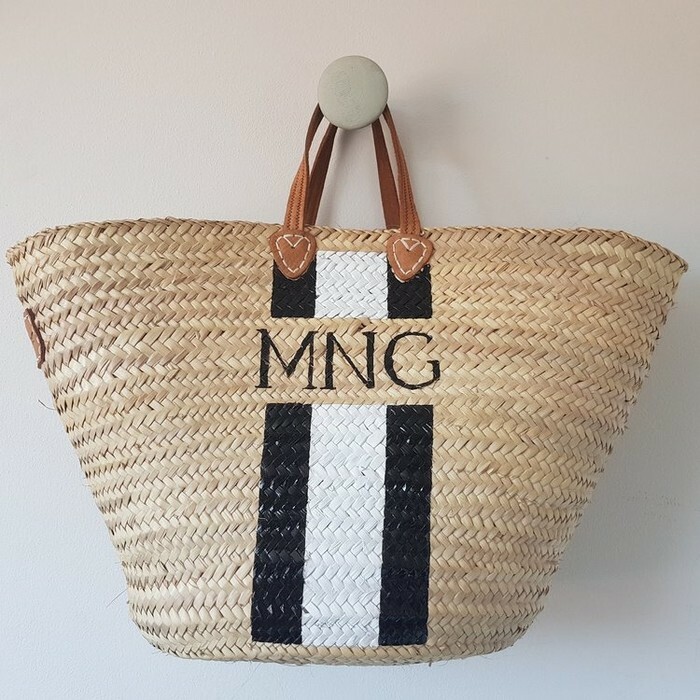 Please note, as all our monogrammed items are personalised and uniquely yours, they are non-refundable and non-exchangeable.